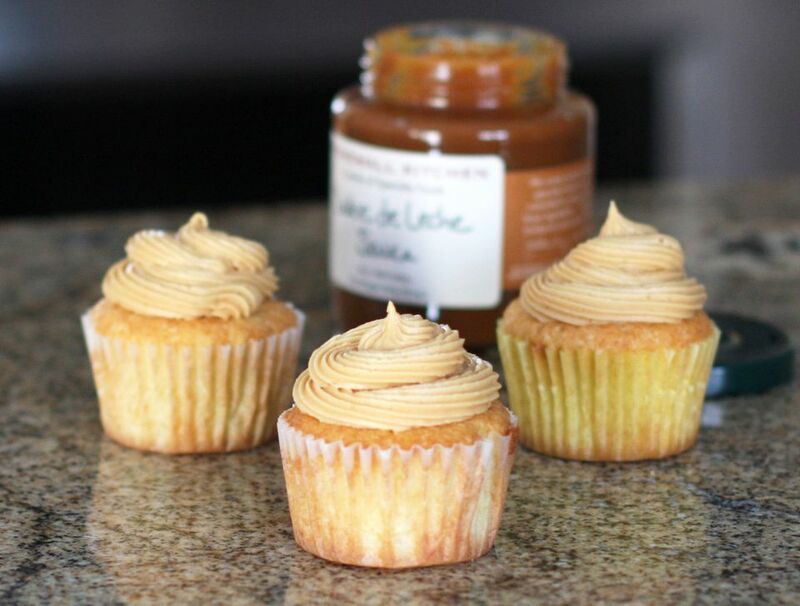 This is a delicious frosting with a caramel flavor, and it's super easy to prepare. I used ​reduced fat cream cheese in this recipe. This recipe is easily halved if you want to frost a small 1-layer cake, a loaf cake, or a dozen cupcakes. This is a great frosting for a pumpkin cake or cupcakes, or use it to frost a spice cake or carrot cake. It's wonderful on chocolate cupcakes, too! Beat the cream cheese and butter until smooth and creamy. Add the caramel sauce and vanilla; beat until well blended. Add 3 1/2 cups of confectioners' sugar and beat on low speed until blended. Add more confectioners' sugar, if needed. Increase mixer speed and beat on high speed for 2 minutes. Beat buttercream frosting for 10 minutes or longer for a super smooth and satiny texture. If frosting is too thick to spread or pipe, thin with milk or cream, beating in about 1 teaspoon at a time until you get the desired consistency. Swirl with a spoon to make waves and peaks. Draw a small spatula or butter knife through the frosting in a zigzag pattern. Smooth the frosting with a wet knife, then run a fork over the icing to make ridges. Frost then drizzle with melted semisweet chocolate. Refrigerate until the drizzle sets.